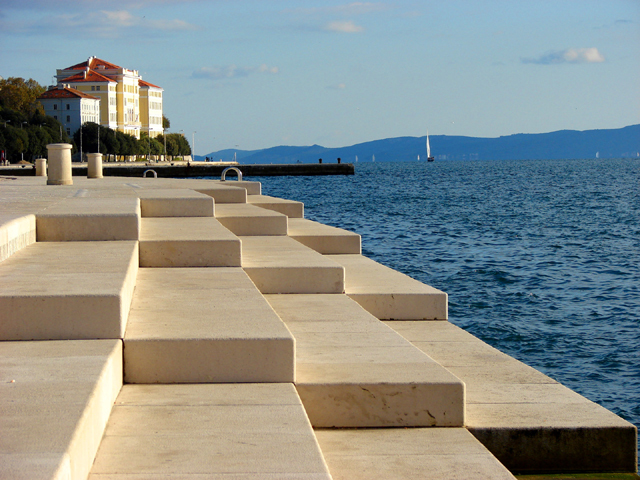 At the edge is suggestive of the slow and measured music created by the waves and the marble steps at the Morske Orgulje or Sea Organ at the tip of the Zadar peninsula in Croatia. This peaceful interaction with the environment is explored here in this palette of ocean blues, peachy sands and olive green. This is a trans-seasonal collection for 2018 and the result of a research project that facilitated a conversation between garment-user and maker. Utilising the principles of slow design, and sourced to be ethically and environmentally conscious, At the edge is designed to reconnect the lost lines of connection between designer + maker + user, and user + garment. Un-broken was the collection Sophia produced to graduate her Bachelor of Fine Arts in 2015, heavily inspired by a need to reduce the amount of textile waste going into landfill, Un-broken focused on mending techniques from the 1940's Make do and Mend campaign, natural dyeing with food waste and unwanted textiles.